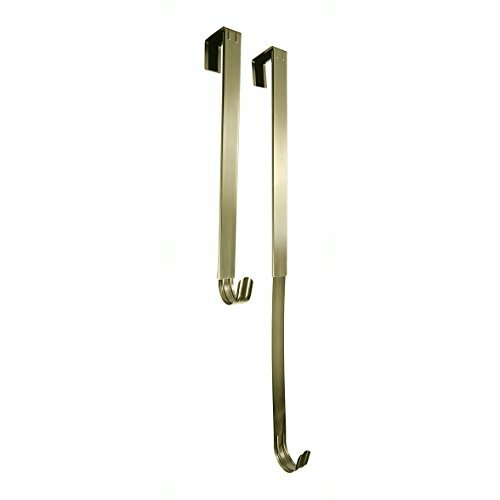 Hang your decorative wreaths without nails or other hardware with this metal over-the-door hanger. It adjusts to different lengths so you can hang the wreath on the door at exactly the right height. The piece that fits over the door is padded with felt to prevent scuffing the door. Extends from 16.5 to 25 inches. If you have any questions about this product by Haute Décor, contact us by completing and submitting the form below. If you are looking for a specif part number, please include it with your message.